This is the main character from H.G. Wells’ 1897 novel The Invisible Man. This book is one of the building blocks of modern genre literature. There have been many invisible characters since, though. Such as Susan Storm, the Invisible Woman, wielding it as a super-power. One close adaptation is the Alan Moore version in League of Extraordinary Gentlemen, which continues Mr. Griffin’s deplorable exploits. Real Name: Mr. Griffin (first name unrevealed). Height: 6’ Weight: Approx. 180 lbs. Griffin was a gifted scientist. He earned his doctorate in medicine with honors in chemistry before taking up the study of physics, specializing in optics. His genius allowed him to create the hitherto unprecedented formula that would render living beings invisible. Howbeit, he was unable to create a cure for it. However, his genius was badly compromised by his growing insanity. This led him to make increasingly foolish blunders despite the advantages afforded by his invisibility. Griffin attended University College as a young man. He earned a degree as a Medical Doctor and winning the medal in chemistry. After graduating, Griffin pursued a new interest: physics: particularly regarding the properties of light. He developed a theory that he could turn living tissue invisible by altering its refractory properties. After three years of experimentation, he eventually developed a formula that worked on a cat. He then tested it on himself. He adventured around London for a while, enjoying the freedom of his invisibility until winter set in. Then Griffin began to realize the vulnerabilities and disadvantages of his condition. Thus, he set out to find a place where he could create a cure. Griffin ended up in the village of Iping. He took residence in an inn there and began working on a cure. His unusual accoutrement provoked speculation about his condition among the villagers. Such ranged from his being a fugitive from justice to some sort of piebald mulatto. Yet most took his bandages as confirmation of Griffin’s story regarding a horrible accident. Though he was irritable and sometimes had angry outbursts he did not seem to present a true threat. Therefore, the villagers did little other than gossip about him. But as summer set in, the combination of the villagers’ suspicions regarding a recent robbery and Griffin’s increasing madness and frustration led him to literally expose himself in front of an assemblage of the amazed Sussex folk. Escaping the villagers that had intended to capture him, Griffin fled into the countryside. There he recruited a drunk named Thomas Marvel. With Marvel’s help retrieved the most essential items for his work from the inn in Iping. As Marvel carried the secured items out of the village Griffin attacked his pursuers. At first that was to cover Marvel’s escape, and then simply for the pure joy of it. With his accomplice in tow, Griffin proceeded to Port Stowe. There he engaged in further robberies to secure the necessary funds for a new residence. During this crime spree Griffin was grazed by a gunshot. Thus, he retreated to the local doctor’s office to recover. There he was discovered by Doctor Kemp, who happened to be an old acquaintance from University College. Griffin told Kemp of his revolutionary discoveries in the field of optics and biology. He menionned in this account with the experiment that led him to his current state. Griffin concluded with the events that brought him to Port Stowe. Griffin then suggested that he and Kemp move to the south. There Kemp could be his secret accomplice as Griffin used terror and larceny to acquire whatever the two of them might like. Kemp feigned interest, awaiting the arrival of the police he had surreptitiously summoned. Despite Kemp’s efforts, the wary Griffin detected the police’s arrival and escaped into the countryside. He found shelter elsewhere, killing a man he encountered during his wanderings. The next the authorities heard of Griffin was a letter declaring a “Reign of Terror” until his demands were met. His first demand was for an example to be made by having Doctor Kemp publicly executed. The police made arrangements to protect Kemp. Undaunted, Griffin attacked Kemp’s home. Therein he injured several policemen and got hurt himself. Kemp escaped and ran into town, where he was able to summon a crowd. The mob closed in as Griffin attacked Kemp and savaged the Invisible Man. Griffin succumbed to his injuries and died on the scene, returning to visibility after he expired. Since the police could not determine who owned what among the Invisible Man’s treasure trove, it ended up being the property of the man Griffin had intimidated into helping him, Thomas Marvel. Marvel opened an inn in Port Stowe and (unknown to anyone) kept the three books containing Griffin’s formula for invisibility. Though the books were written in Greek with a cipher of Griffin’s own creation, Marvel hoped one day to unravel the secrets and put the formula to more lucrative use. 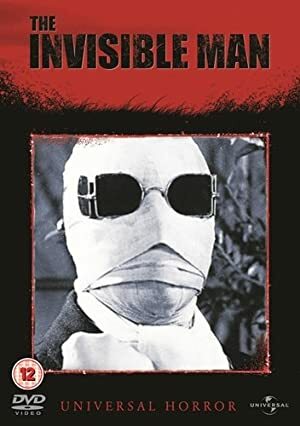 After his transformation, his body was invisible but this did not extend to his clothing, requiring him to run around naked to maintain his invisibility. Even then, atmospheric impediments such as rain, snow, or fog would betray him. When he ate, drank, or inhaled smoke, it remained visible until his body assimilated it. To hide his unique condition, Griffin had to be completely covered by his clothing. While standard attire concealed most of his body adequately, he had to take unusual measures to obscure his head. This was usually accomplished by wrapping the top of his head with bandages with a wax nose (that was placed over his real nose) protruding to give the appearance of visible flesh underneath. This was capped by a wide brimmed hat, blue spectacles, and a side-whisker or veil covering his mouth as circumstance dictated. Griffin was somewhat unstable and antisocial even before his experiments altered his body. He was somewhat ill tempered and had little patience for others, especially those he deemed as fool or obstacles to his work. At one point he funded his work by stealing money from his own father. The money was not his father‘ own to lose and he committed suicide, which Griffith apparently felt no guilt over. When he became invisible and decided to abandon his current residence, he torched the apartment building to cover his trail. The narrator described him as “intensely egotistical and unfeeling”. This trait was present before his transformation but became hopelessly exacerbated by his new-found power. By the time of his arrival in Iping, Griffin was highly irritable and prone to mood swings. He vacillated between experimenting feverishly for hours on end and simply sitting by the fireplace all day long. He often muttered to himself, even when walking around in public. By the time he left Iping he had begun to indulge in terrorizing the hapless bystanders around him for the sport of it. When he told Dr. Kemp of the events that led to his current state, Griffin was completely honest about his deeds. He never even considered how his more destructive acts would appear to others. The Invisible Man had reached the nadir of his mental state by the time he came to Port Stowe. His delusions of grandeur spurred him to dreams of empire with himself as the head. He was carried away by the urge to avenge himself on any who wronged or impeded him. His increasingly irrational behavior led to an ignominious death at the hands of a mob of ordinary villagers. Griffin’s tragic experiment and its results can be inserted into any time or place. His tomes with the secrets of his formula could easily fall into the hands of a person or group who would put the power of invisibility to much more effective use. Invisibility is Always On (-1FC) ; Invisibility does not affect items Griffin is wearing, carrying, or has recently ingested (-2FC). Languages (Greek), Scholar (Chemistry, Optics), Stroke of Genius (Invisibility Serum). Catastrophic Rage, Distinct Appearance, Mistrust, CPI (Megalomania). 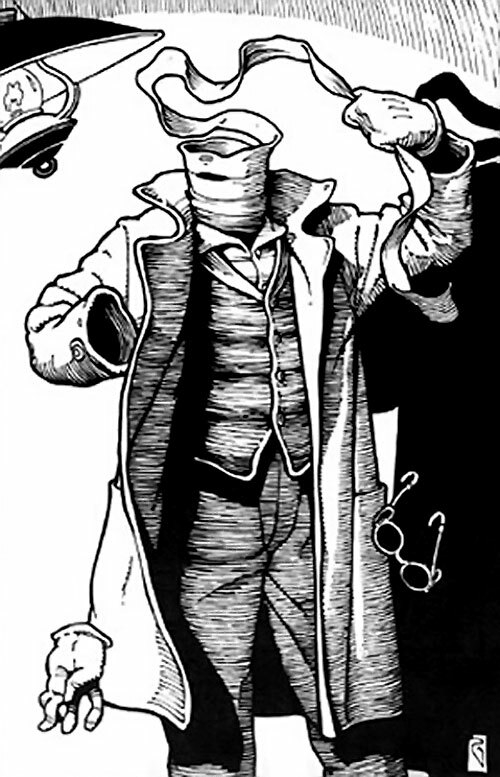 Distinct Appearance is due to the fact that unless Griffin is completely naked (and thus invisible) he appears to be an empty set of clothing or is completely wrapped up in bandages and heavy clothing, which attracts a certain amount of attention. Griffin’s invisibility serum must be injected intravenously and takes approximately 24 hours (15 APs of time) to take effect. It grants the subject the same Power and Limitations that Griffin has. Whether Griffin’s increasing instability was exagerrated by the serum or just a result of the stresses he found himself under is up to the GM. The former is more likely considering themes in H.G. Wells’s other works. Prior to Griffin’s experiment, he had no Powers, both his Rage and PI were Minor, and his Distinct Appearance came from his albinism. After he became invisible, he acquired his current Distinct Appearance and his Rage and PI went up to Serious. It was not until he was chased from Iping that his Rage became Catastrophic, and his PI followed suit when he arrived at Port Stowe. 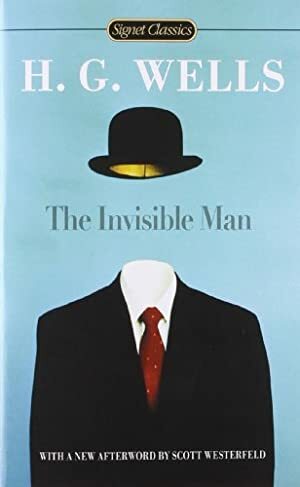 Source of Character: The Invisible Man by H.G. Wells (novel).